These days it seems like everywhere you look, satin is there. This season, we witnessed statin all over the NYFW runways (Carolina Herrera gowns, I mean...) and I am sure we will be seeing a ton more during PFW-- it is here to stay. 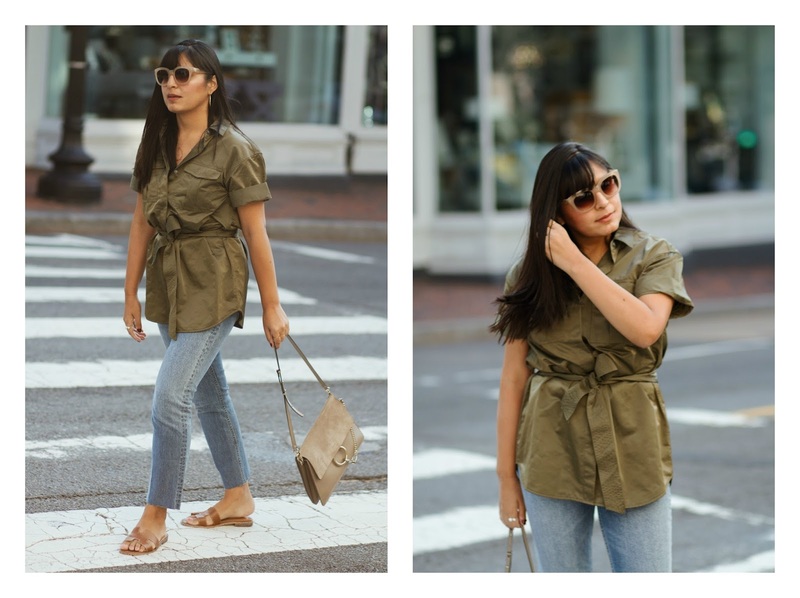 While some associate it with more with a formalwear feel, there are many designers and brands incorporating satin in more relaxed, casual pieces. I for one, don't need a black-tie event to wear satin 😉. By now you all probably know how much I love shopping on Shopbop. I visit their website daily because their selection is amazing and you can imagine how happy I was to find out about the sale that is currently going on! This three day event will be going on until September 29, 2017 11:59 p.m. When you use the code: EOTS17, you get 20% off your purchase of $500 or less, or 25% off your purchase of $500 or more! I have included my favorite satin pieces below!